Jeez, where did the weekend go? Why is it that time one has to fill as pleases always seems to go that much faster than time that’s planned and accounted for? While generally speaking, I love my job and am exactly where I want to be, sometimes I wished I had a little bit more time to spend on my crafting projects.While knitting is my big love, I also enjoy other crafts. Sewing, crochet, polymer clay … All of which I indulged in this weekend. A little bracelet was made. 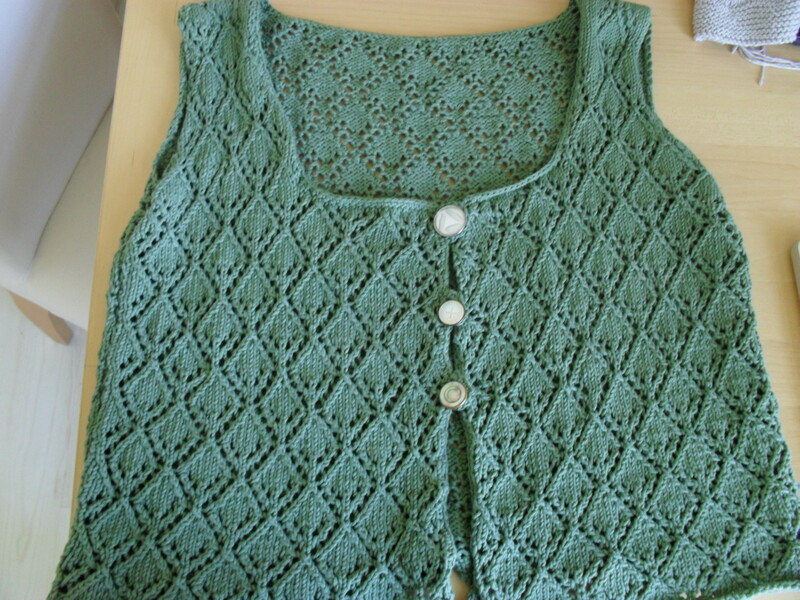 This is the vest which got the buttonholes. It was a pattern from a german knitting magazine, Stricktrends, which I acquired on a trip over in April, and should have beeen a short sleeved cardigan with ruffles around the front. 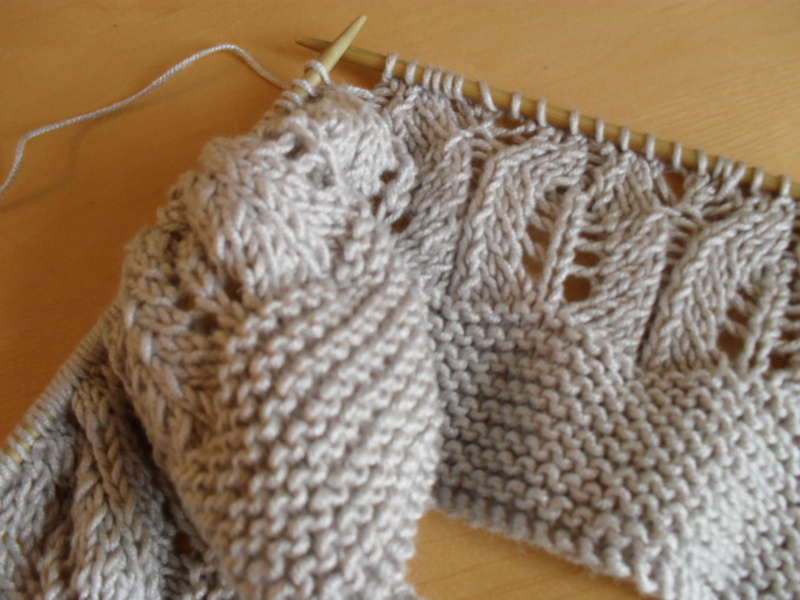 Unfortunately, I ran out of yarn a few centimeters short of finishing the second sleeve. I decided to make it into a vest, and leave the ruffles. Instead I adorned it with some of the single vintage (probably 1920ties, mother of pearl) buttons I have. I like how it turned out, even if it’s a far cry from what it was supposed to look like. 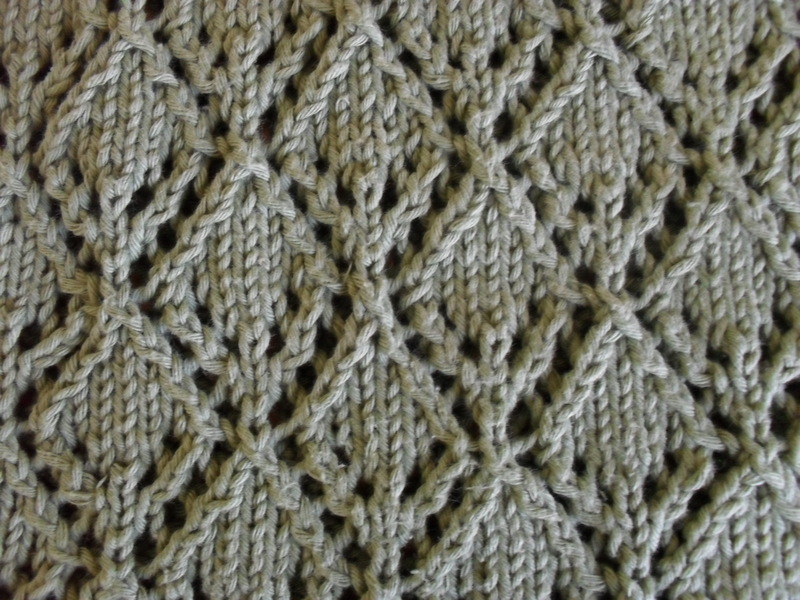 I really like the airyness and geometry of the pattern, maybe I’ll give the cardi another go at some later time. Also, some time was spent on my Other Mission ™. Of course, I was staring at a wardrobe filled to the brim while wailing the dreaded sentence. But it’s true. I have NOTHING to wear. Well, okay , so maybe not exactly nothing, but there are far too many things in my wardrobe which I can’t or won’t ever wear again. I have put on weight, for one thing. And I’m beginning to think short-sleeve-over-long-sleeve-t-shirt is not the right solution to every situation. So, clearly, I need to de-clutter my wardrobe. This is where The Mission ™ comes in. I decided to alter or upcycle or recycle or refashion all items I can’t wear any longer. What did you do or make on the weekend? 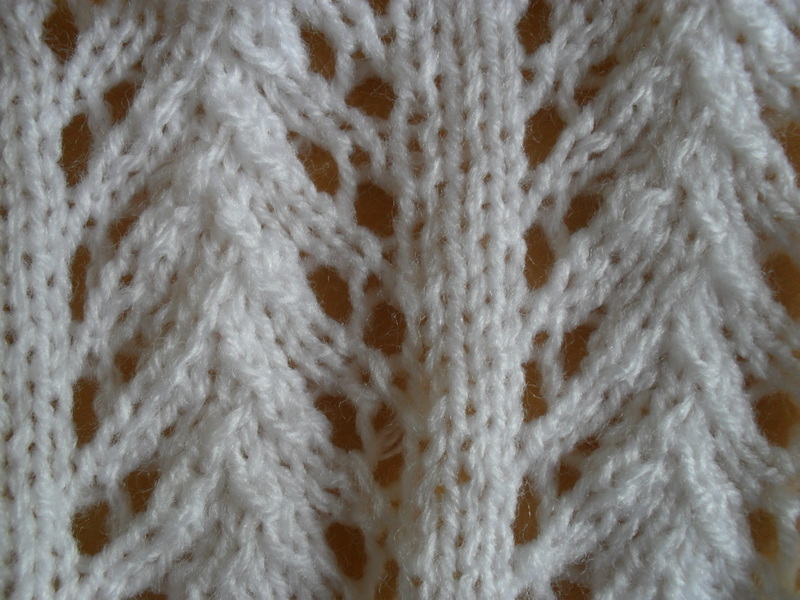 Author kokorimbaudPosted on July 31, 2011 August 1, 2011 Categories Other knittingTags cardigan, knitting, laceLeave a comment on Something else. 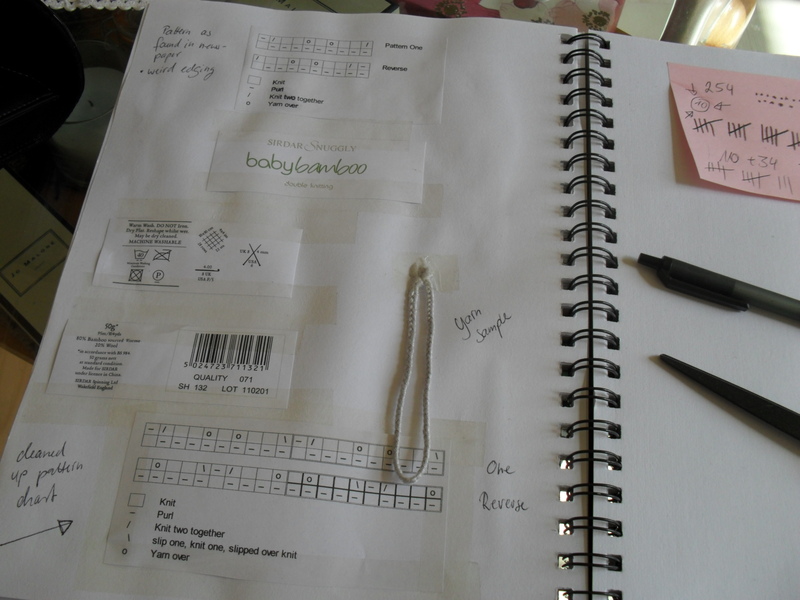 As you might have noticed, I have added a new page: The Stitch Library. 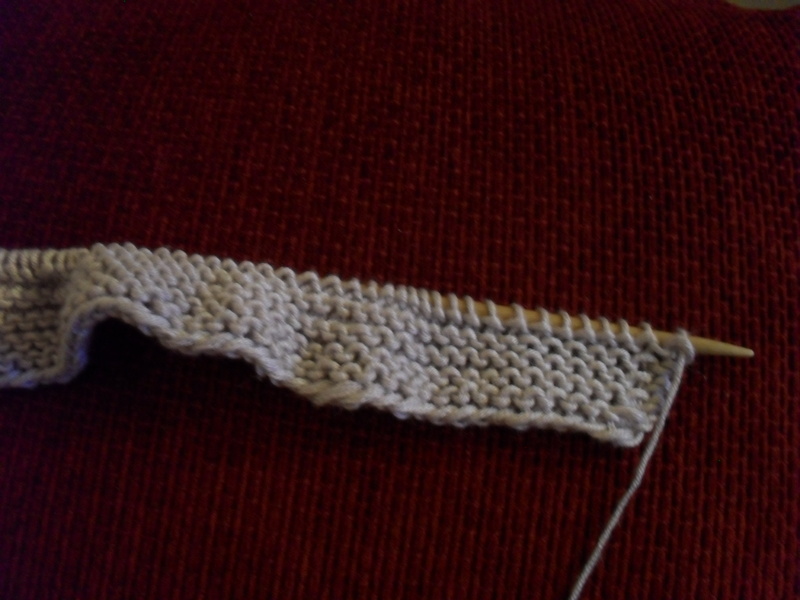 I’m always on the lookout for new stitches, and I take them where I find them and how I find them. 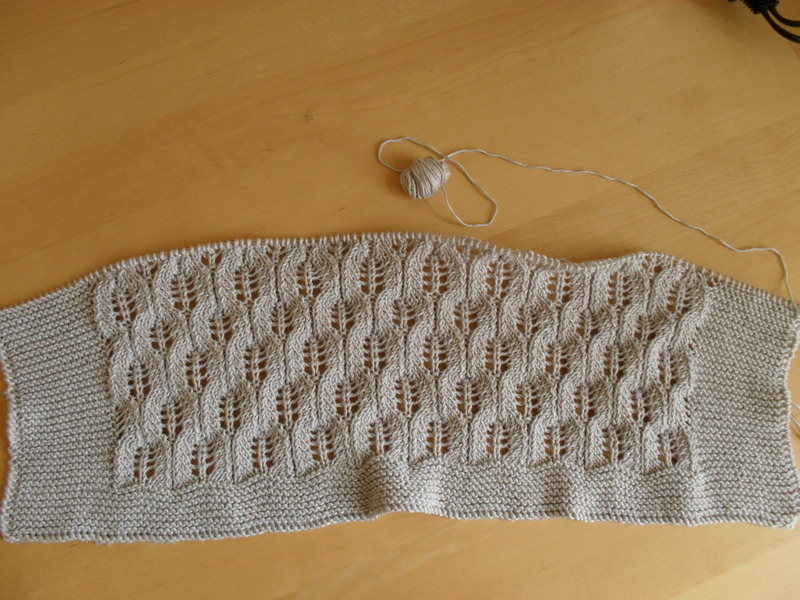 However, I found it’s nearly impossible for me to follow a written lace pattern, while working off a chart is rather easy and makes memorizing the stitches and visualising the pattern a breeze for me. 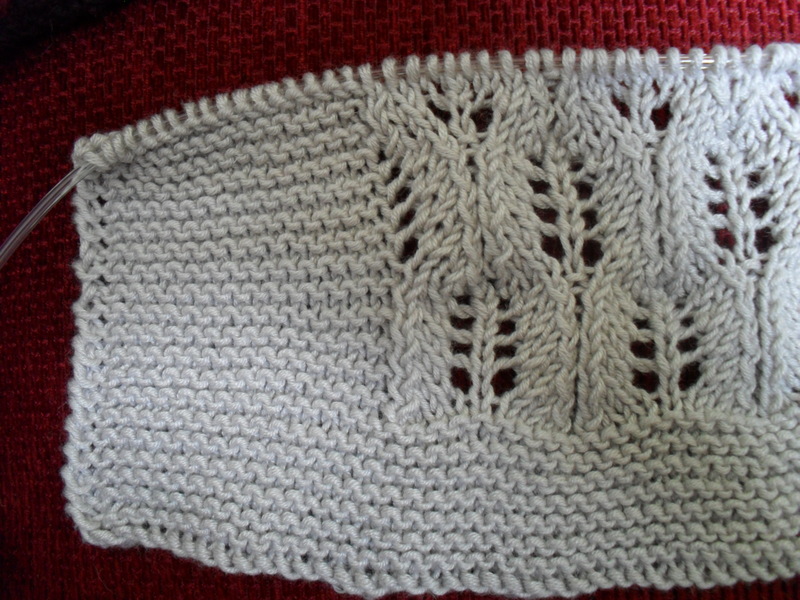 That of course means that rather often, before I actually start knitting anything, I spent half an hour (or so) in front of my PC and chart my pattern. And because there probably are more peeps out there who find it easier to work off a chart, I am sharing my stitch library with y’all! All stitches in there will be offered as .pdf document, and include written and charted write-ups. Right now, there’s only one measly stitch to find … please be kind and patient with me, I’ll build it up one by one! 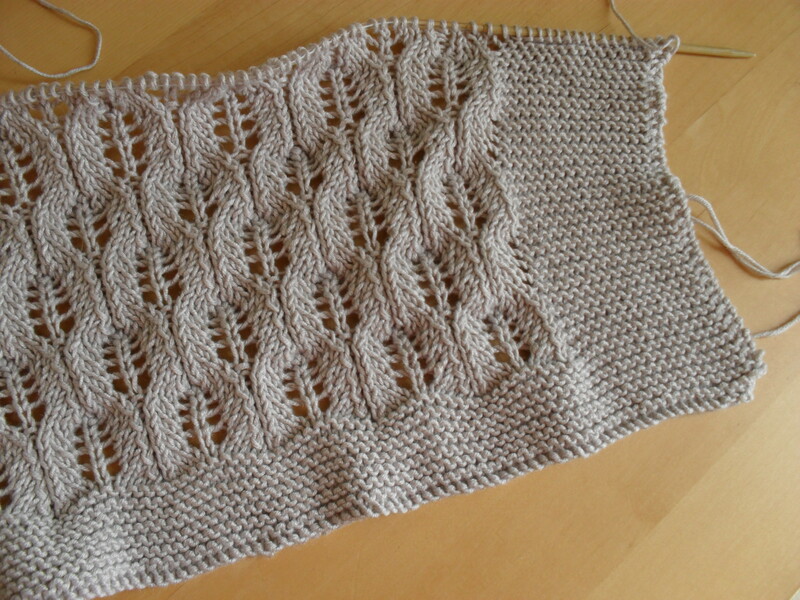 And no, you won’t have to wait for me to start or *gasp* even finish a new project before I add the next stitch. I’m aiming for at least one per week, possibly more, though. 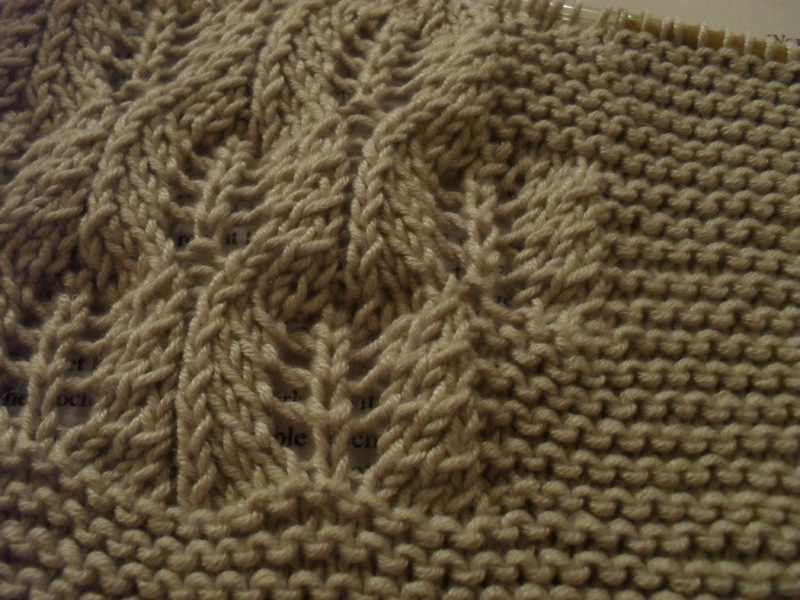 Here’s the first pattern: Fern Lace. Tell me – what do you prefer, written or charted? Author kokorimbaudPosted on July 28, 2011 August 14, 2011 Categories Stitch LibraryTags pattern, stitchesLeave a comment on New page: Stitch Library!